Different rates of growth can lead to overpopulation or underpopulation, both of which have potential consequences. The basics of demographic population growth depend on the rate of natural increase (births versus deaths) and net migration. Demography is the statistical study of human populations. It encompasses the study of the size, structure, and distribution of these populations, and spatial and/or temporal changes in them in response to birth, migration, aging, and death. Population change depends on the rate of natural increase and net migration. Natural increase is calculated by the fertility rate minus the mortality rate. Net migration depends on in-migration and out-migration. Natural increase: Population growth that depends on the fertility rate and the mortality rate. Net migration: The difference of immigrants and emigrants of an area in a period of time, divided (usually) per 1,000 inhabitants (considered on midterm population). A positive value represents more people entering the country than leaving it, while a negative value mean more people leaving than entering it. demography: The study of human populations and how they change. Demography is the statistical study of human populations. It can be a very general science that can be applied to any kind of dynamic living population, or one that changes over time or space. It encompasses the study of the size, structure, and distribution of these populations, and spatial and/or temporal changes in them in response to birth, migration, aging, and death. (Births – Deaths) +/- ((In-Migration) – (Out Migration)) = Population Change. As this equation shows, population change depends on three variables: (1) the natural increase changes seen in birth rates, (2) the natural decrease changes seen in death rates, and (3) the changes seen in migration. Changes in population size can be predicted based on changes in fertility, mortality, and migration rates. Natural increase refers to the increase in population not due to migration, and it can be calculated with the fertility rate and the mortality rate. Net migration is the mathematical difference between those migrating into a country and those migrating out of a country. This basic equation can be applied to populations and subpopulations. For example, the population size of ethnic groups or nationalities within a given society or country is subject to the same sources of change as the national population. However, when dealing with ethnic groups, “net migration” might have to be subdivided into physical migration and ethnic re-identification (assimilation). Individuals who change their ethnic self-labels or whose ethnic classification in government statistics changes over time may be thought of as migrating or moving from one population subcategory to another. More generally, while the basic demographic equation holds true by definition, the recording and counting of events (births, deaths, immigration, emigration) and the enumeration of the total population size are subject to error. Allowance needs to be made for error in the underlying statistics when any accounting of population size or change is made. US Fertility Rate: The US fertility rate has leveled off at about 2.0, which is nearly equal to the replacement level. This means that population growth in the US is due to inward migration, rather than a high birthrate. Population growth is difficult to predict because unforeseen events can alter birth rates, death rates, migration, or resource limitations. Population Growth Forecasts: This video uses commonly cited statistics about population growth predictions to advocate for population control. The problem with activism surrounding population growth is that forecasts cannot predict unexpected changes in fertility and mortality rates. Malthus believed that if a population is allowed to grow unchecked, people will begin to starve and will go to war over increasingly scarce resources. Thomas Malthus warned that without any checks, population would theoretically grow at an exponential rate, rapidly exceeding its ability to produce resources to support itself. Malthus argued that an exponentially growing population will self-correct through war, famine, and disease. Malthus cautioned that in order to avoid catastrophe such as famine and war, people should enact deliberate population control, such as birth control and celibacy. Malthusian catastrophes refer to naturally occurring checks on population growth such as famine, disease, or war. These Malthusian catastrophes have not taken place on a global scale due to progress in agricultural technology. However, many argue that future pressures on food production, combined with threats such as global warming, make overpopulation a still more serious threat in the future. exponential growth: The growth in the value of a quantity, in which the rate of growth is proportional to the instantaneous value of the quantity; for example, when the value has doubled, the rate of increase will also have doubled. The rate may be positive or negative. Malthusian catastrophes: Malthusian catastrophes are naturally occurring checks on population growth such as famine, disease, or war. Early in the 19th century, the English scholar Reverend Thomas Malthus published “An Essay on the Principle of Population.” He wrote that overpopulation was the root of many problems industrial European society suffered from— poverty, malnutrition, and disease could all be attributed to overpopulation. According to Malthus, this was a mathematical inevitability. Malthus observed that, while resources tended to grow arithmetically, populations exhibit exponential growth. Thus, if left unrestricted, human populations would continue to grow until they would become too large to be supported by the food grown on available agricultural land. In other words, humans would outpace their local carrying capacity, the capacity of ecosystems or societies to support the local population. As a solution, Malthus urged “moral restraint. ” That is, he declared that people must practice abstinence before marriage, forced sterilization where necessary, and institute criminal punishments for so-called unprepared parents who had more children than they could support. Even in his time, this solution was controversial. According to Malthus, the only alternative to moral restraint was certain disaster: if allowed to grow unchecked, population would outstrip available resources, resulting in what came to be known as Malthusian catastrophes: naturally occurring checks on population growth such as famine, disease, or war. Over the two hundred years following Malthus’s projections, famine has overtaken numerous individual regions. Proponents of this theory, Neo-Malthusians, state that these famines were examples of Malthusian catastrophes. On a global scale, however, food production has grown faster than population due to transformational advances in agricultural technology. It has often been argued that future pressures on food production, combined with threats to other aspects of the earth’s habitat such as global warming, make overpopulation a still more serious threat in the future. 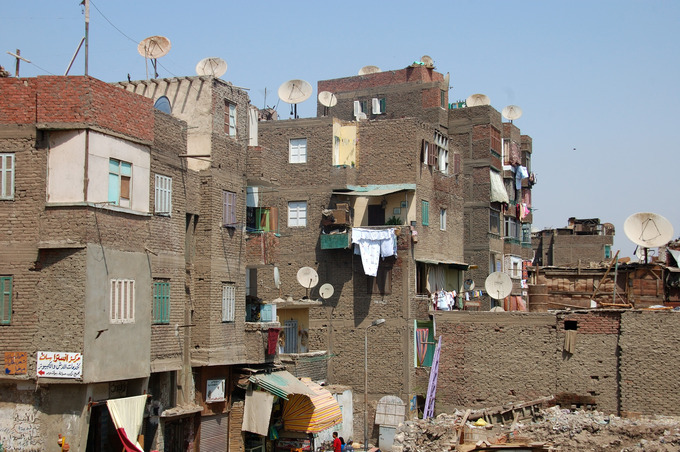 Overpopulated Urban Slums: Malthusians would cite epidemics and starvation in overpopulated urban slums, like this one in Cairo, as natural checks on growing populations that have exceeded the carrying capacities of their local environments. Demographic transition theory outlines five stages of change in birth and death rates to predict the growth of populations. Demographic transition theory suggests that populations grow along a predictable five-stage model. In stage 1, pre-industrial society, death rates and birth rates are high and roughly in balance, and population growth is typically very slow and constrained by the available food supply. 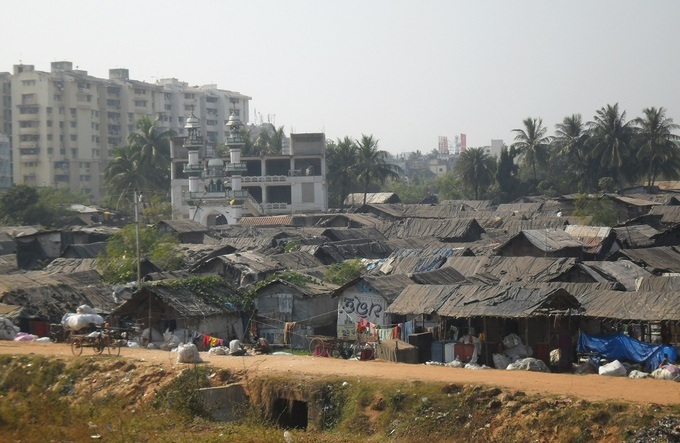 In stage 2, that of a developing country, the death rates drop rapidly due to improvements in food supply and sanitation, which increase life spans and reduce disease. In stage 3, birth rates fall due to access to contraception, increases in wages, urbanization, increase in the status and education of women, and increase in investment in education. Population growth begins to level off. In stage 4, birth rates and death rates are both low. The large group born during stage two ages and creates an economic burden on the shrinking working population. In stage 5 (only some theorists acknowledge this stage—others recognize only four), fertility rates transition to either below-replacement or above-replacement. 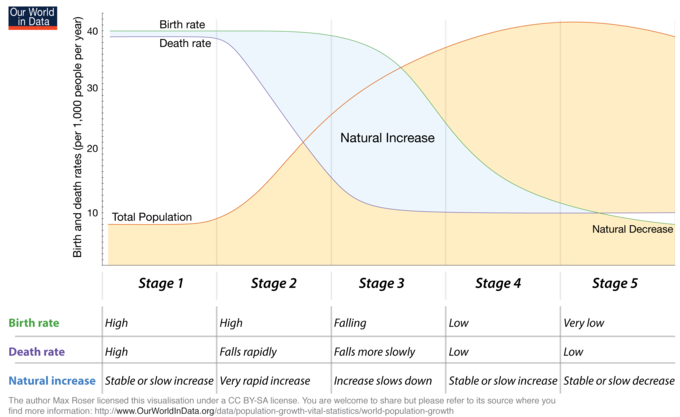 demographic transition theory: Describes four stages of population growth, following patterns that connect birth and death rates with stages of industrial development. Whether you believe that we are headed for environmental disaster and the end of human existence as we know it, or you think people will always adapt to changing circumstances, we can see clear patterns in population growth. Societies develop along a predictable continuum as they evolve from unindustrialized to postindustrial. Demographic transition theory (Caldwell and Caldwell 2006) suggests that future population growth will develop along a predictable four- or five-stage model. In stage one, pre-industrial society, death rates and birth rates are high and roughly in balance. An example of this stage is the United States in the 1800s. All human populations are believed to have had this balance until the late 18th century, when this balance ended in Western Europe. In fact, growth rates were less than 0.05% at least since the Agricultural Revolution over 10,000 years ago. Population growth is typically very slow in this stage, because the society is constrained by the available food supply; therefore, unless the society develops new technologies to increase food production (e.g. discovers new sources of food or achieves higher crop yields), any fluctuations in birth rates are soon matched by death rates. In stage two, that of a developing country, the death rates drop rapidly due to improvements in food supply and sanitation, which increase life spans and reduce disease. Afghanistan is currently in this stage. 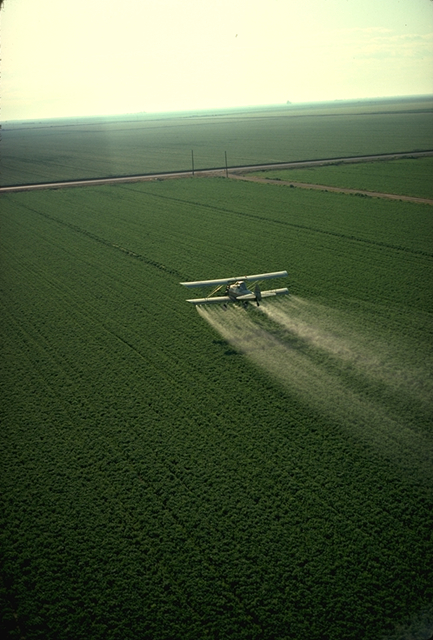 The improvements specific to food supply typically include selective breeding and crop rotation and farming techniques. Other improvements generally include access to technology, basic healthcare, and education. For example, numerous improvements in public health reduce mortality, especially childhood mortality. Prior to the mid-20th century, these improvements in public health were primarily in the areas of food handling, water supply, sewage, and personal hygiene. Another variable often cited is the increase in female literacy combined with public health education programs which emerged in the late 19th and early 20th centuries. In Europe, the death rate decline started in the late 18th century in northwestern Europe and spread to the south and east over approximately the next 100 years. Without a corresponding fall in birth rates this produces an imbalance, and the countries in this stage experience a large increase in population. In stage three, birth rates fall. Mexico’s population is at this stage. Birth rates decrease due to various fertility factors such as access to contraception, increases in wages, urbanization, a reduction in subsistence agriculture, an increase in the status and education of women, a reduction in the value of children’s work, an increase in parental investment in the education of children and other social changes. Population growth begins to level off. 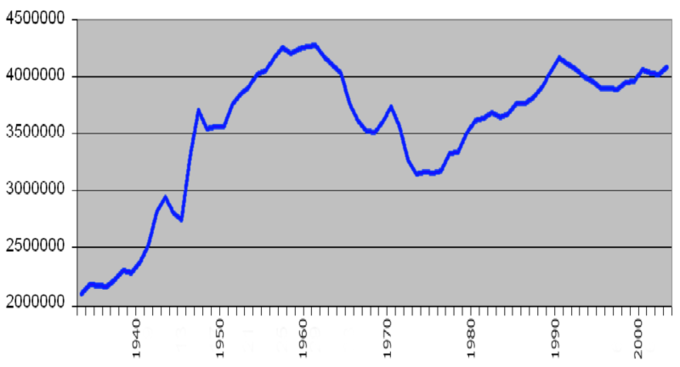 The birth rate decline in developed countries started in the late 19th century in northern Europe. While improvements in contraception do play a role in birth rate decline, it should be noted that contraceptives were not generally available nor widely used in the 19th century and as a result likely did not play a significant role in the decline then. It is important to note that birth rate decline is caused also by a transition in values; not just because of the availability of contraceptives. During stage four there are both low birth rates and low death rates. Birth rates may drop to well below replacement level as has happened in countries like Germany, Italy, and Japan, leading to a shrinking population, a threat to many industries that rely on population growth. Sweden is considered to currently be in Stage 4. As the large group born during stage two ages, it creates an economic burden on the shrinking working population. Death rates may remain consistently low or increase slightly due to increases in lifestyle diseases due to low exercise levels and high obesity and an aging population in developed countries. By the late 20th century, birth rates and death rates in developed countries leveled off at lower rates. Some scholars delineate a separate fifth stage of below-replacement fertility levels. Others hypothesize a different stage five involving an increase in fertility. The United Nations Population Fund (2008) categorizes nations as high-fertility, intermediate-fertility, or low-fertility. The United Nations (UN) anticipates the population growth will triple between 2011 and 2100 in high-fertility countries, which are currently concentrated in sub-Saharan Africa. For countries with intermediate fertility rates (the United States, India, and Mexico all fall into this category), growth is expected to be about 26 percent. And low-fertility countries like China, Australia, and most of Europe will actually see population declines of approximately 20 percent.